Another work party took place last Saturday with more work carried out on trailer car 29896. Some of the operating equipment for the sliding doors has been removed for inspection. Work also continued on other ongoing tasks inside the vehicle. The next work party is on Sunday 3rd April. If you are a member, details will be provided to you. If you wish to join in and help out, please see our membership page and you could be signed up to the group in time for next Sunday! 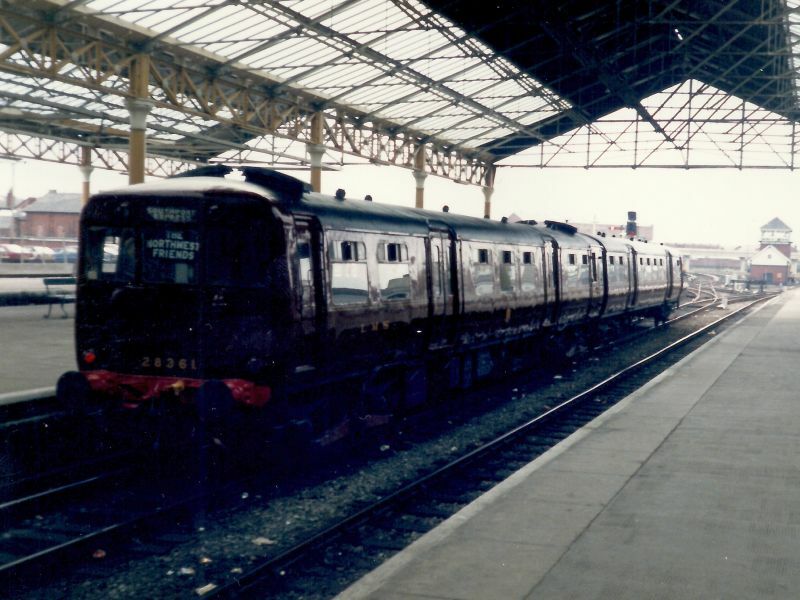 For several years in the late 1980s, the preserved 502 was a regular performer on various special trains on the Merseyrail electric network. One big event came in September 1987, when Southport was visited by the renowned steam locomotive Flying Scotsman. In conjunction with this day, the preserved 502 operated a special service between Southport and Sandhills. Between journeys, the opportunity was taken to pose the two very different pieces of traction next to each other. The man standing in the centre of the picture below is Joe Halsall, who was a well-known and much-respected Southport-based driver. 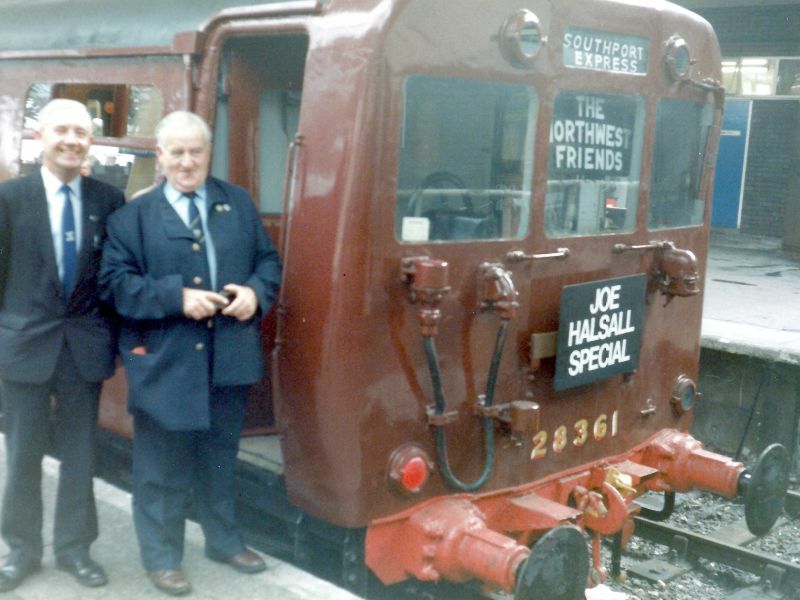 Joe was the regular driver of the 502 unit whilst running in preservation, and was a good friend to the Northwest Friends of the National Railway Museum who restored the unit to working order following withdrawal by BR. For Joe’s last time driving the 502 prior to his retirement, he was surprised with a special headboard to commemorate the occasion. 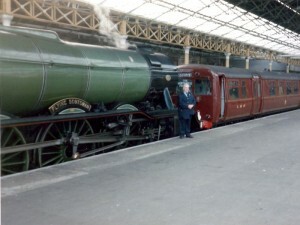 In the picture below, Joe (right) poses for a photo next to the 502 at Southport. 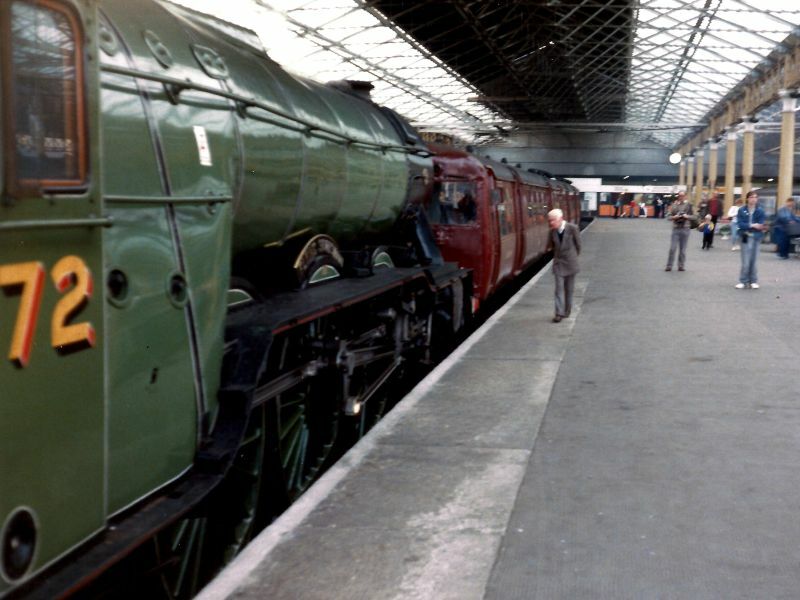 These pictures were supplied to us by Richard Priestley who was involved with the unit at Steamport and also manufactured the “Northwest Friends” and “Joe Halsall Special” headboards visible in the above pictures. Many thanks to him for supplying these pictures to us. If anyone else has any photos of the unit they’d like to share, please contact us. Another successful work party took place on Sunday 6th March. 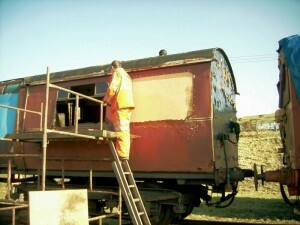 More work was done on the trailer car 29896. Some internal fittings including heaters have been removed and taken away for refurbishment. 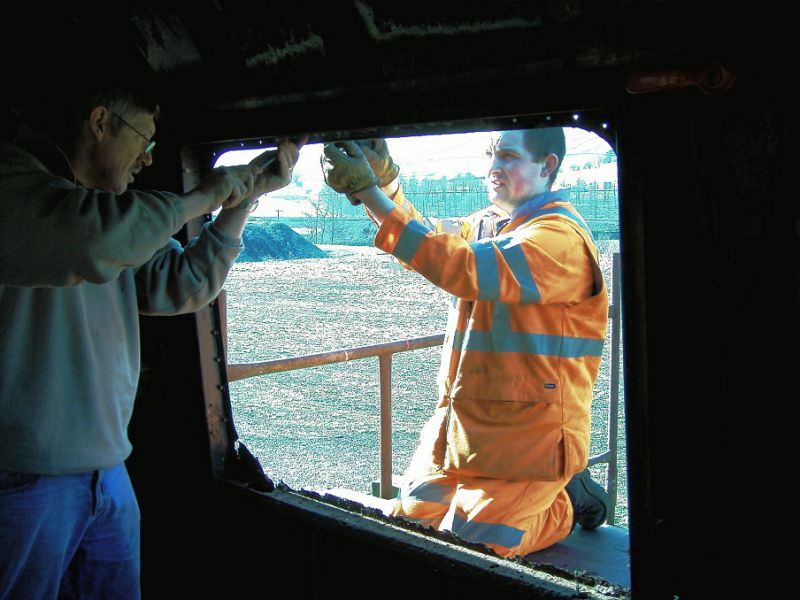 Work has also commenced on the badly corroded window frames, as can be seen in the pictures below (thanks to Paul Gorton for these pictures). Want to help out? Donate to the group, or become a member and join in at our next work party!